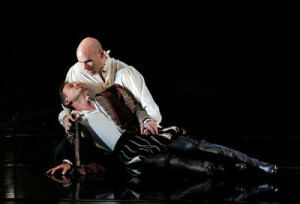 The San Francisco Opera presented Don Carlo, Giuseppi Verdi’s tragic masterpiece of political and personal puzzles, June 29. It was beautiful and terrifying. 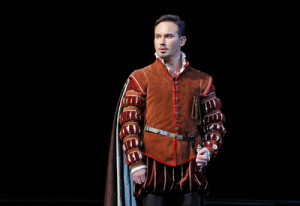 Led by SF Opera Music Director Conductor Nicola Luisotti, the performance went to the heart of Verdi’s great music and captured the hearts of the audience. Special excitement in this Don Carlo was seeing two leads in role debuts. 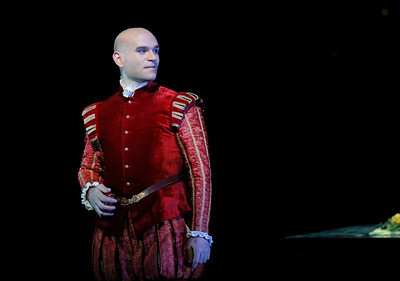 Michael Fabiano, American tenor, made an impressive debut as Don Carlo. He had critical and audience praise for his Rudolfo in SF Opera’s Luisa Miller, fall, 2015. In addition to leading roles from Paris to New York, in 2014 he won the Richard Tucker and Beverly Sills Awards. Ana Maria Martinez made her debut as Elisabetta, Don Carlo’s beloved who married the King, Don Carlo’s father. She has sung starring roles for the SF Opera: Pamina in Die Zauberflote, 2003, and Micaela in Carmen, 2006, Amelia Grimaldi in Simon Boccanegra, 2008. She has starred in productions at the Met in NYC, Houston Grand Opera, Lyric Opera of Chicago, and through Europe. Ms Martinez excelled at portraying the agonizing sadness of the young woman who becomes Queen and must choose between duty and personal feelings. This is a constant theme of the opera showing public, political struggles and the interior, personal struggles faced by players in the games of state. The opera is set at a time when the Spanish Inquisition is the face and power of the Catholic Church and the political Church has out-maneuvered the ambitions of the state. While Spain is killing people in Flanders, “defending the Faith” by destroying the country in the newly Protestant Low Countries, the Church rules by the Inquisition’s terror. 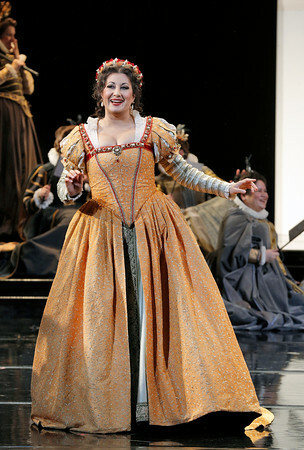 Nadia Krasteva, Bulgarian mezzo, in her debut with the SF Opera, was outstanding in her role as Princess Eboli. 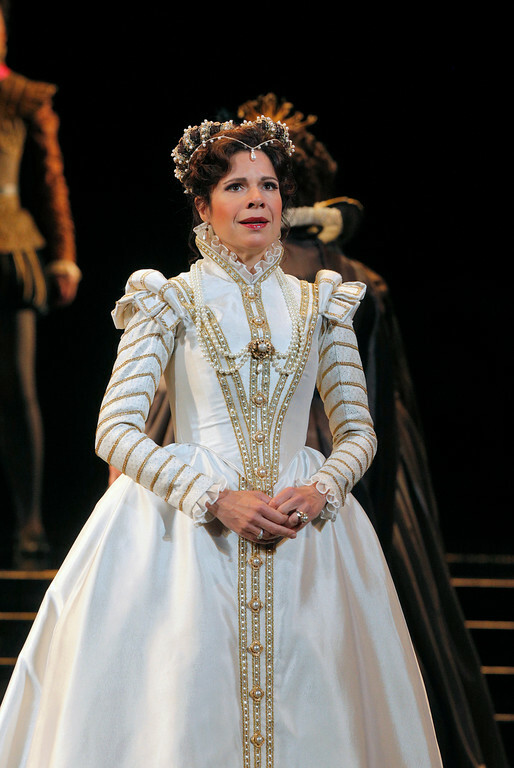 In love with Don Carlo, she defames him and the Queen, hoping to catch him as he falls. From her first appearance, singing in the Queen’s garden, one feels she makes schemes even as she dances. Ms Krasteva was so good at being bad, a female Iago who regrets too late. Mariusz Kwiecien as Rodrigo, Don Carlo’s devoted friend, was the soul of the opera. His voice was true, strong and beautiful. His optimistic proclamation of allegiance to liberty may reflect part of Verdi’s own hopes. Mr. Kwiecien, a Polish baritone, was superb. His character gives the audience someone to admire without equivocation, and yet, in this atmosphere of dread, he is doomed. When Rodrigo dies, something of Verdi dies, too. Associated with the Risorgimento movement in Italy, Verdi loved not only Italy, but also the ideals of the Rights of Man (we may take “man” to mean the rights of Humanity). 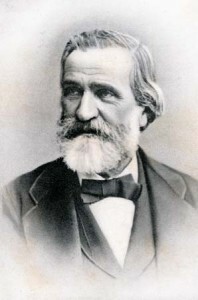 At the request of Prime Minister Cavour, the leader of the Italian unification movement, Verdi was a member of Parliament. When he died, in 1901, a quarter of a million Italians went into the streets, marching to the music of the Chorus of Hebrew Slaves from Verdi’s Nabucco, conducted by Toscanini. June 29 was perhaps the third time this Verdi fan had seen Don Carlo. So much can depend upon the time in which one sees it. The second time was a different era in the US. * Either what the directors chose to emphasize or what I felt most was the struggle for freedom against the totalitarian weight of the political, murderous Church and the murderous State. There was endless conniving, spying, and absence of respect for human life. This time, I absorbed the hopelessness of individuals striving for change and the loss of private lives. Perhaps the directors found more truth in cynicism in this election year. 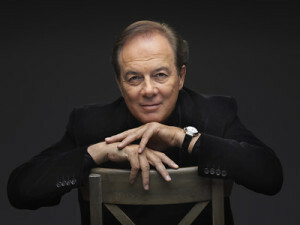 Ferruccio Fulanetto sang the role of Philip II. He was superb. Rodrigo asks the King to end the Flanders war. The King decides he can trust Rodrigo. When Mr. Fulanetto warned Rodrigo to beware the Inquisition, it was one of the most terrifying moments of theater I can remember. In excellent voice, Mr. Fulanetto’s King Philip is in a position of supreme power and yet suspicious of his wife and overwhelmed by the Inquisition’s reign of terror. Exiting to the so-called real world in the first intermission, I could not shake the feeling of fear. 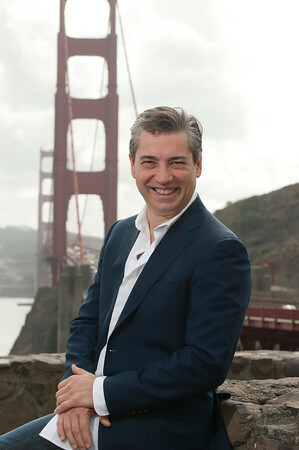 Nicola Luisotti announced his depature from leadership of the SF Opera. Lovers of Verdi should plan ahead: Maestro Luisotti will conduct Aida, Nov.5-Dec. 6, 2016, and Rigoletto, May 31-July 1, 2017. These performances are an opportunity to cheer him for the joy in music he has brought to San Francisco. Photos, except the unattributed portrait of Verdi at the top, are all ©Cory Weaver/SF Opera. *I first saw Don Carlo in a school group. We went to the Paris Opera. Seats were too expensive; we took turns going in a box. I do not think I knew the story. It didn’t matter. The gorgeous setting, beautiful voices, enormous bouquets all added up to dazzling Theater, an impact like the first time one sees a mountain. This entry was posted in Hedgehog Highlights and tagged Ana Marie Martinez, Camillo Cavour, Don Carlo, Ferruccio Fulanetto, Giuseppe Verdi, Mariusz Kwiecien, Michael Fabiano, Nadia Krasteva, Nicola Luisotti, Risorgimento, San Franciso Opera, Verdi on July 2, 2016 by Leslie.